Growing up only fifteen minutes from the ocean on the East coast, FEAR THE DROWNING DEEP left me feeling homesick for that old traditional feel of an old town like Plymouth. This book makes me want to go to the beach on a cool, gray day and curl up with a blanket on the sand, with a hot cup of tea, and read. 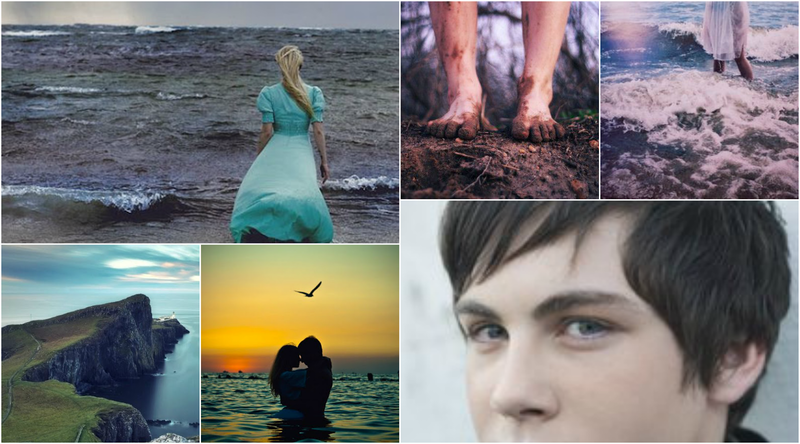 Summary: Sixteen-year-old Bridey Corkill longs to leave her small island and see the world; the farther from the sea, the better. When Bridey was young, she witnessed something lure her granddad off a cliff and into a watery grave with a smile on his face. 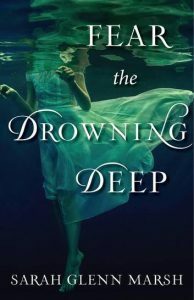 Now, in 1913, those haunting memories are dredged to the surface when a young woman is found drowned on the beach. Bridey suspects that whatever compelled her Granddad to leap has made its return to the Isle of Man. This book has such a nice, rainy day feel to it. Just look at that gorgeous cover! The aesthetics of this books are no joke. The way Sarah weaves the descriptions of this little island town into a beautiful tapestry is just beautiful. I was so inspired, I had to try my hand at making a mood board. The characters in this book have wonderful voices of their own. Bridey, the main character has three sisters, and each one of them is unique. I'm a sucker for stories with siblings, despite growing up an only child myself. I adore sibling relationships and friendships, and this book has both! And that ending! I need more! I need to know what happens! It's definitely an ending that is optimistic, but I still want more! I need an epilogue or a short story or... SOMETHING! And for those of you in the NY area, her LAUNCH PARTY was just announced at Books of Wonder! Friday, Oct. 14, 6-8pm! If you can make it, you should!